Georgia Tech's offensive line has been a strength, but there is still room for improvement. The firing of defensive coordinator Al Groh might not be enough to save the Jackets' season. The state of Virginia is for quarterbacks, not lovers. BC coach Frank Spaziani still has his supporters -- and they all wear the same jersey colors. If Notre Dame decides to join the ACC in football, the conference will be ready. Miami's running backs aren't running scared from the Noles. FSU cornerback Xavier Rhodes has developed into a leader. Virginia Tech true freshman J.C. Coleman isn't a big guy, but he's starting to play big. Duke is trying to move on from its loss to the Hokies. 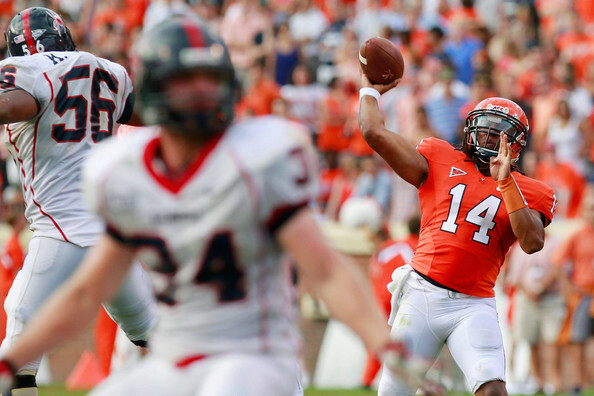 Virginia quarterback Phillip Sims is trying to get better quickly. True freshmen have had a big impact in the ACC this year.